William R. Betz, MD, FACP, is a board certified General Internist with over 25 years of clinical practice and administrative experience. He has served on multiple hospital boards and has been the Chairman, Department of Medicine and an Associate Chief Medical Officer at Hamot Medical Center in Erie, PA. 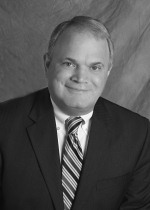 He is currently the Division Chief of Internal Medicine at Saint Vincent Health Center in Erie, PA.
Dr. Betz is a Certified Physician Executive and has a strong focus on patient safety having served on multiple patient safety committees and instituting a rapid response team at a large medical center. He is currently in private practice and teaches family practice residents at Saint Vincent Health Center in Erie. Dr. Betz received his medical degree from New Jersey Medical School (UMDNJ) and completed his Internal Medicine residency at Geisinger Medical Center in Danville, PA.